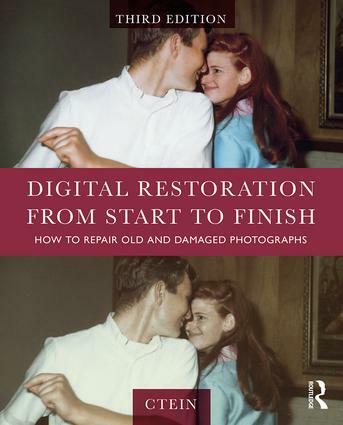 This third edition of Digital Restoration from Start to Finish walks you step-by-step through the entire process of restoring old photographs and repairing new ones using Adobe Photoshop, Photoshop Elements, GIMP and more. This best-selling guide is now updated with the latest software advancements, and new techniques including hand-tinting in lab, repairing water damaged photos, and tips for the spot healing brush and masked layers. No process detail is overlooked, from choosing the right hardware and software, getting the photographs into the computer, getting the finished photo out of the computer and preserving it for posterity. Ctein is a photographer and artist living in Daly City, CA. He is a photographer, artist and contributor to The Online Photographer and co-author of the bestselling thriller Saturn Run.